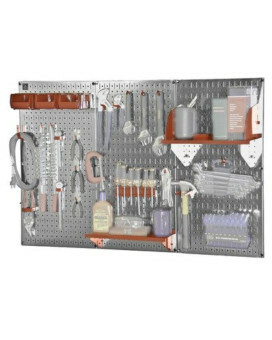 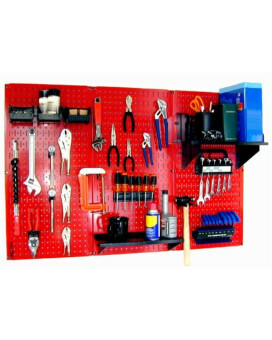 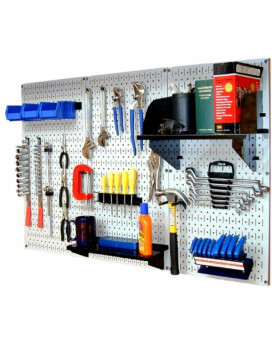 Wondering about storage options for tools used during car maintenance? 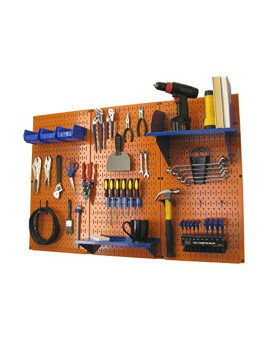 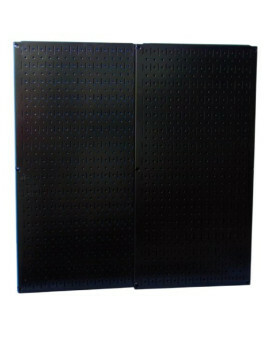 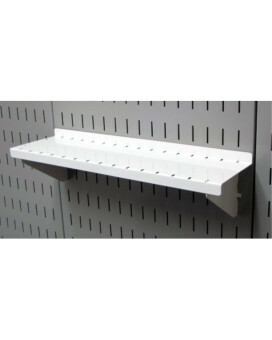 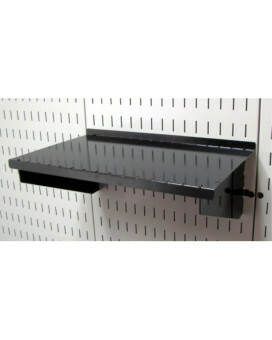 Then, you should stop by and shop tool trays online in USA. 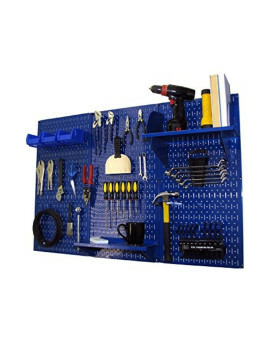 You can either think about magnetic trays to organize tools according to your thoughts or socket holders for easy identification. 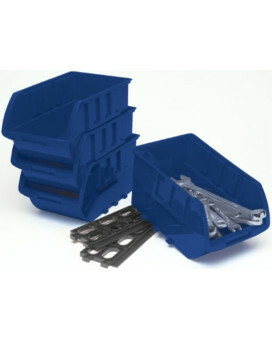 Much more than these accessories, you can opt for a tote tray to carry tools conveniently. 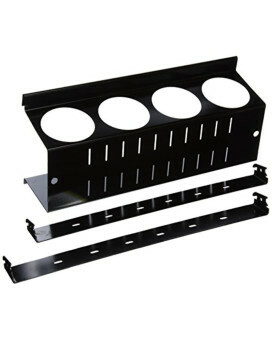 XS Power Protective Metal Case for S925 Batteries features a metal case to protect the XS Power batt..
XS Power Billet Aluminum Hold Down for D2700/XP2500 Batteries features a billet aluminum battery hol..
Wilmar W5196 4 Piece Large Stackable Storage TraysPlastic trays can be stacked vertically or align h..
Wilmar W1264 Magnetic TrayHeavy-duty magnets (two on large tray, one on small tray) with durable rub..
Wall Control Pegboard Standard Tool Storage Kit, Orange/BlueColor Name:Orange/BlueFeatures of Wall C..
Wall Control Pegboard Standard Tool Storage Kit, BlueColor:Blue/BlueFeatures of Wall Control Pegboar..
Wall Control ASM-SH-1609 B 9" Deep Pegboard Shelf Assembly for Wall Control Pegboard Only, Bla..
Wall Control ASM-SH-1609 B 9&QUOT; Deep Pegboard Shelf Assembly for Wall Control Pegboard Only, Blac..
Wall Control ASM-SH-1604 W 4" Deep Pegboard Shelf Assembly for Wall Control Pegboard Only, Whi..
Wall Control ASM-SH-1604 W 4&QUOT; Deep Pegboard Shelf Assembly for Wall Control Pegboard Only, Whit..
Wall Control ASM-HS-1694 B Pegboard Paper Towel Holder and Dowel Rod Pegboard Shelf Assembly for Wa..
Wall Control ASM-HS-1694 B Pegboard Paper Towel Holder and Dowel Rod Pegboard Shelf Assembly for Wal..
Wall Control ASM-CH-014 B Pegboard Spray Can Holder Bracket and Aerosol Can Organizer for Wall Cont..
Wall Control ASM-CH-014 B Pegboard Spray Can Holder Bracket and Aerosol Can Organizer for Wall Contr..
Wall Control 30WRK400GVR 4-Feet Metal Pegboard Standard Tool Storage Kit with Galvanized Toolboard ..
Wall Control 30WRK400GVR 4-FEET Metal Pegboard Standard Tool Storage Kit with Galvanized Toolboard a..
Wall Control 30-WRR-100GVB Galvanized Steel Pegboard Starter KitWall mounted galvanized steel pegboa..
Wall Control 30-WRK-400WB Standard Workbench Metal Pegboard Tool OrganizerThe Wall Control Pegboard ..
Wall Control 30-WRK-400RB Standard Workbench Metal Pegboard Tool OrganizerKeep your floorspace and w..
Wall Control 30-P-3232B Black Metal Pegboard PackThe Wall Control Metal Tool Pegboard - Pack of 2 he..
Vaper 36097 1/4&QUOT; Drive SAE Magnetic Aluminum Socket RailVaper 36097 1/4 inch Drive SAE Magnetic..
Titan TIT11061 Mini Magnetic TraySize:1-PackFeatures of Titan TIT11061 Mini Magnetic Tray4 1/4" diam..
Titan Collapsible Magnetic Tray (21266)Titan professional tools can be counted on to provide a profe.. 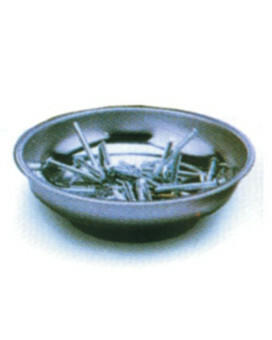 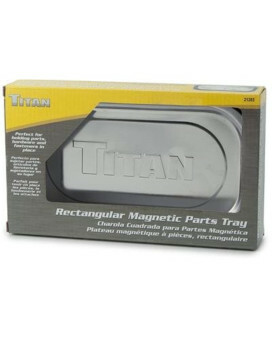 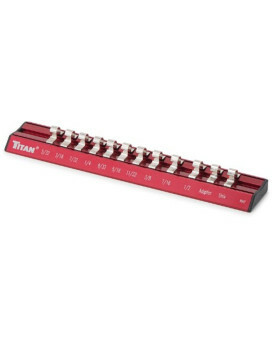 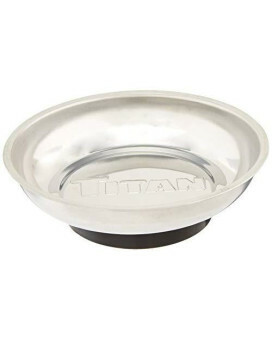 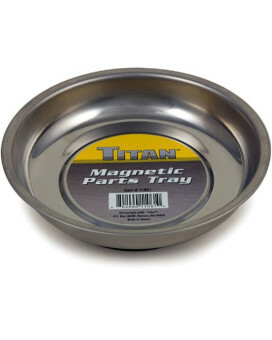 Features and Benefits: 4-1/4" stainless steel dish Sticks to any ferrous metal surface Rubber cover..
Titan 21265 Rectangular Magnetic TrayRectangular Magnetic Tray Features of Titan 21265 Rectangular ..